Episode 6 of Season 8 on Afterlife TV: This week I discuss the reasons why our loved ones in spirit attend their own funerals and memorial services. It’s probably not what you expect. I also answer the question, ‘How often do your loved ones want you to visit their gravestones?’ I chose these topics because I recently when back to my home town in Massachusetts to attend a relative’s funeral, after which I visited my father’s gravestone. Learn what I left at my father’s grave, and what happened at the funeral that led me to write a very unusual essay (something you may want to do yourself). Hope you’re enjoying your summer. The photos in the video were taken by a girl I started dating 39 years ago (hint: we’re still going strong today). I look forward to your comments and stories in response to this episode. Check out the show notes below. 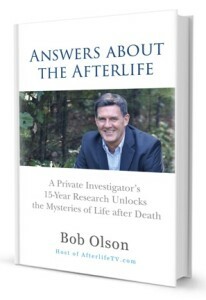 Bob: Hey, everybody Bob Olson here with Afterlife TV, you can find us at afterlivetv.com. This is where we talk about life after death of all things. Who would know that there’s be a show that talked about the afterlife? Well, here we are, we’ve been around since 2011. This is season eight and I’m so glad that you arrived to today because we’re gonna be talking about some questions that a lot of people have. One is do people in spirit attend their own funerals, and the other is how often does my loved in spirit want me to visit his or her gravesite. 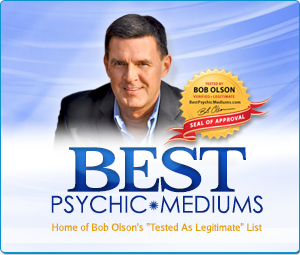 Now, I want to thank our author which is Best Psychic Directory, thank you so much, everybody, for letting us know that you have had life-changing readings from people that you have chosen on Best Psychic Directory. 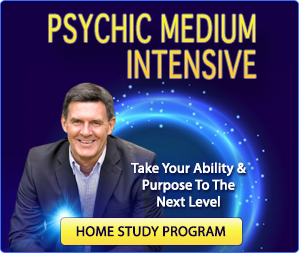 There’s a lot to choose from there, over 900 psychics and mediums and tarot readers and animal communicators, even energy healers, you can get that all at bestpsychicdirectory.com. 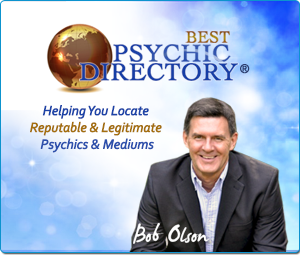 You can read reviews from people who have had session with them and you can also choose by location or specialty, so thanks to our sponsor bestpsychicdirectory.com. Now, the reason that I wanted to talk about this subject this week was that I had an aunt that died recently. She died at the age of 90, very sad that she passed and that she was no longer gonna be in our lives at the same time we got together for the funeral services as a celebration of life. That’s what most people are doing nowadays, right? It’s not a young person or some unexpected death then often we think of it as a celebration of life. And certainly, that was the case here. And it was such a beautiful service in so many ways and I’m grateful to her family that put that together. After the services, Melissa and I decided to visit my father’s gravesite because I hadn’t been there a long time since I live in Maine and this is in Massachusetts. So we took that opportunity to see how the graves almost looking, clean it up a little bit and we wanted to put some flowers or a plant there. We went to a local store and all the flowers and plants weren’t looking very good. It’s been very hot recently and things weren’t looking too lively. Maybe they just weren’t taken care of very well at this one particular place but it was the only place we could find in town. So we said, you know what, forget it. We’ll just go to the gravesite. On the way there I saw a donut shop that my father used to visit a lot when he was alive. So I had the idea of stopping there I got three doughnuts, one for me, one for Melissa, and one for my dad, and we had coffee. And we went and had coffee and donuts with my dad at his gravesite and we left the donut basically on top of his gravestone and we poured a little coffee beside it. And I’m sure he enjoyed that. Now, this is one of those things that it might seem silly to some but at the same time, I know that probably the next time I get a reading with a medium, the medium is gonna convey the message that my father loved the doughnuts at the cemetery. These are the kind of things that happen and that you look out for when you’re getting a reading with a medium. They’re going to convey things that you might have done in their honor or while you were thinking about them or talking about them, they are gonna convey that back to you just to let you know that they were there while you were doing that. And this certainly is one of those examples. The point of it, of course, is that we don’t necessarily have to bring flowers. We don’t necessarily have to being anything. We can just show up. And the gravesite, the way I look at it and from what I’ve learned over, jeez, it’s nearly 20 years now of investigating the afterlife, what I think the gravesite is perfect for is giving us a place to go, a place that is peaceful, usually beautiful, and an opportunity for us to go somewhere and just focus on our love ones in spirit alone. So without the distractions of all the things that distracts us in this world. And that’s what cemeteries are able to do for us. I know that a lot of people are getting away from cemeteries. There’s a lot of people who are getting cremated and the ashes are staying with the family in the house or they’re being spread in forests or in lakes or over the ocean. I know that in time there are gonna be some people who are familiar with cemeteries and have loved ones who are buried in the cemeteries who might miss that when they just have the ashes at home, because our homes can be very busy sometimes and unless you have a place where you can just go and sit and create this little ritual where you think about your loved one in the spirit as Melissa and I did, having donuts with my dad the other day, then I think we miss out on the opportunity that gravesites and cemeteries give us for doing that, if you know what I mean. I don’t think there’s anything wrong with it. Our loved ones in spirit certainly do not care whether they have a gravestone or they are buried at the cemetery or their ashes are buried the cemetery, but I know they appreciate that there is a place where we can go in their memory and just think about them and even talk to them, talk to them right out loud right there, pray, whatever it is that you like to do in honor of your loved one. And so I think that there’s gonna come a time as less and less people are getting buried in some way or have some kind of marker. We’re gonna grow to miss that overtime. So let’s start with the first question, do people in spirit attend their own funerals? It’s a great question. A lot of people ask it. And here’s the answer from the audio book of Answers About the Afterlife. Allen: Do people in spirit attend their own funerals? Yes. People in spirit attend their own funerals but probably not for the reasons that most people would assume. Spirits are primarily interested in helping our loved ones who are grieving. They want to ease their loved ones feelings of loss and heartache and they want to make their presence felt if possible, so the bereaved know they are still around them. People in spirit are not interested in who does and does not show up at their funeral. They are not concerned about their popularity but they do like their life to be remembered and honored. And they appreciate knowing that people love them and still love them. Every life is significant and purposeful and it helps those in spirit to witness this memorial celebration of their life as opposed to the mourning of their death. People in spirit also attend their own funerals and memorial services because they feel the love that those in attendance radiate for them. Since the most important quality of life is love, it increases the spirit’s vibration to feel the love being expressed at such services which helps them with their own spiritual evolvement. We all loved to be loved. And funeral services are the perfect venue to express your love for your recently deceased loved one before settling back into the distractions of your day to day life. Always note that your deceased loved ones are present with you at their funeral just as they’re present with you whenever you think of them. So sharing happy memories of them with others at any time is a wonderful way to honor their life. Bob: So that was from Answers About the Afterlife. I love that answer because it really helped me when I finally figured this out during the course of my investigation of life after death it really was like a new paradigm shift from which I saw funerals from a whole different light. One of the things that I learned and one of the reasons that I had this paradigm shift was that I’d heard of many stories where people found their loved one is dead, sometimes in the case of suicide, sometimes in the case of a heart attack or they died while sleeping for whatever reason, and what I was learning from many different places, we’ll just say people communicating through mediums could be one of them. But there’s also people who’ve had share death experiences and dreams, but what I learned was that our loved ones in spirit even immediately after their passing or they’re trying to comfort us in our grief, in our pain of loss. We had an example here on an earlier show where a young man found his father dead in bed. And he ended up having a dream of that exact scene of him finding his father who had passed and his father was showing him in the dream that when he found him the father in spirit was holding him. He was hugging him. He was trying to comfort him in the shock of what he had just discovered, the grief that he felt I’m sure immediately and whatever pain and suffering this young man was going through at that time his father in spirit was trying to help him. And the way the son saw it in the dream was that his father was holding him, hugging him. That’s a great example of many stories I’ve heard in my investigation of life after death over the years and they all apply to that same thing. And this is what happens at funerals and memorial services is that our loved ones in spirit do attend and they attend for our sake. They attend in order to try to send us comforting, loving energy to help us with whatever sad, painful emotions that we’re experiencing at that time. So the reason they attend is a very selfless act and I think it’s incredible. Now the second question that we’re gonna be talking about today that is somewhat related is, “Okay, my loved one has passed.” They’ve been buried and whether their ashes have been buried or their body has been buried it doesn’t matter, but there’s a gravesite. And how often does my love on in spirit loved me to visit his or her gravesite? So once again, here is Allen who is reading from Answers About the Afterlife, the book that I wrote that has just come out on audiobook. Here’s a clip from that to answer that question. Allen: How often does my loved one in spirit want me to visit his or her gravesite? Our loved ones in spirit liked to be remembered but they have no specific desires around how we remember them. So it doesn’t matter to them if you visit their gravesite or not. They want you to remember them in the manner that works best for you. Consequently, if you live in California but your father is buried in Massachusetts, your father has no interest in you flying to New England once a year just to visit his gravesite unless that is a ritual that you enjoy and can afford both in time and travel costs. If it’s something that you like to do it’s a nice ceremony in his memory and if gets you back east to see family members and friends it serves that purpose as well. But your father doesn’t mind if you go there or not provided you take time out to think of him in some way. If you simply take the time to visit your favorite place in nature that is local to your home and think about him that alone is enough. A common misconception is that our deceased loved ones are hanging out at the cemetery by their gravesite, it’s simply not true. As I’ve written elsewhere in this book the spirit world is a dimension that exists all around us and spirits can be in multiple places at one time. So they will always be present with you when you visit their gravesite but you do not need to go there in order to talk with them. If you’re not there they’re not there either. I’ve always been amused by mediums who claimed to see spirits at cemeteries. You often witnessed these claims during Halloween specials on televisions. In my opinion, it’s a misleading fallacy to spread. Can you imagine this idea that our loves ones in spirit are somehow tethered to their gravesite, to spend eternity at the cemetery? That would be horrible. And, of course, it’s not true. Cemeteries are where the bodies of dead people are buried but they’re spirit, consciousness, is in the spiritual dimension where they are free to go anywhere they please. Bob: So I hope you learned a lot from the answers to those two questions that we talked about today regarding funerals and gravesites and cemeteries basically. And I want to end with something that I started to think about after my aunt’s funeral services. As I was listening to people talk about my aunt’s life when they gave the eulogies and when the minister talked about her life, I was taking aback by the fact that everyone who spoke seem to say a lot of the same things. They said that my aunt loved children. They said that my aunt was really big into genealogy, that she loved music particularly singing and also gardening. Now, those four things seems to be repeated several times by different people and it made me think about, huh, I wonder what people would say about me when I die. And so a few days later I was at home and I decided to grab my laptop and write my own obituary. It started off as a eulogy but then I realized it’s kind of hard to write a eulogy about myself so it kind of came out as an obituary. Now, it was a long obituary and a very detailed obituary but it doesn’t matter. I gave myself permission to not think about that this has to fit in a column in the obituary section of a newspaper and instead thought about this as an essay about my life. And what a wonderful experience this was for me to be able to sum up my life the way I see it in order to recognize whether I’m happy with the way my life has gone thus far. And if not, then how might I want to change it in the future. There’s a lot of reasons why this is a valuable experience. One, its self-reflection, but also I told Melissa about this, in fact, they read it to her, and she know now where it is if something were to happen to me, she would have something to use either to go by when she writes my obituary or even to read or have somebody read at my memorial service. Because when anyone dies there’s usually a very short periods of time between your passing and your services and people are sometimes shocked by your death no matter what they’re gonna be distraught in some way. People are going to grieve your death and those who are responsible for either writing the obituary or a eulogy often aren’t in the right mindset to really be able to think of things fully. They’re just not as clear as they would be if they had much more time to be able to put this thing together. So it really helps for you or anyone of us to do that for them. It’s almost a gift to them here. This is what my life was about. Nobody knows our life the way we do. Nobody certainly is going to see our life the way we do. It’s also nice to be able to share this with people who attend your services. They might learn something about you that they never knew and that under these circumstances that I just mentioned somebody else might not put together because they just want thinking clearly or they were grieving too deeply and they were unable to really write with any depth or articulation. After I read what I had written which was my life up until this point right now. Melissa has this great idea that it would be valuable for me to continue writing that as if I could see into the future. And rather than just thinking about what it could be, imagine the way I would want it to be. And so right, the continuation of this as I would like my life to be, and I thought, wow, that is an amazing idea. In many ways it’s a lot about what I write about in my most recent book, “The Magic Mala.” But it’s a new tool, it’s a new activity that we can engage in order to plan, create, and lay the foundation for our future. So I thought I would leave with you with that as an exercise that if this is your thing, if you like to do these sorts of, these exercises, these tools for introspection, then this might be something you want to do. It’s something that I’ve done at least the first part and now I’m going to from here on take Melissa’s suggestions and write my future as the way I’d like to see it. So thank you for letting me share my story. Thank you for listening to Afterlife TV. 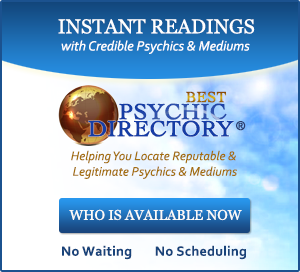 Again, I want to thank our sponsor, bestpsychicdirectory.com. 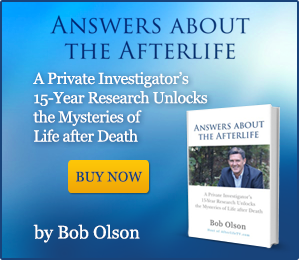 I want to thank everybody who’s left reviews for my book, Answers About the Afterlife, and The Magic Mala. And I want to thank you all for your comments, your just incredibly loving comments. I knew I’ve said this a million times and I’ll say it again, I’ll say it a million more times, I really do have the most loving and the best audience in the world. So thank you for being part of that audience. Have a great week and we’ll see you again next week. Bye-bye.